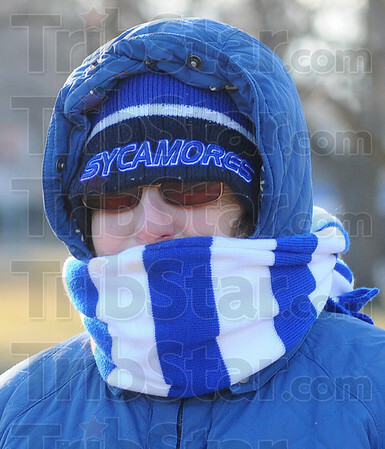 Ready for it: Kelly Dumas said she was “wrapped up good, it’s not bad.” as she took her usual walk along Ohio Blvd. Tuesday afternoon. She made her four mile walk in 16 degree weather.